Are There Good Marijuana Stocks to Invest In Now? Subject: Are There Good Marijuana Stocks to Invest In Now? Medicinal uses for marijuana continue to add up – which is increasing the profit potential of marijuana stocks to invest in. 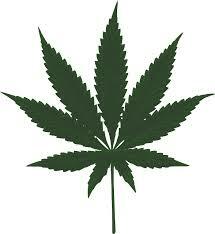 Marijuana has been hailed as an effective treatment for pain, cancer, epilepsy, glaucoma, and more. New reports show marijuana is also effective in treating Alzheimer’s disease. As medicinal uses for marijuana have grown, so has the number of states legalizing it for the treatment of various ailments. Twenty-three states and Washington, D.C., have enacted laws legalizing medical marijuana. Legal sales of marijuana are forecast to quintuple to some $8 billion by 2019 from $1.6 billion in 2013, according to projections from trade publication Marijuana Business Daily. Last year, the industry generated $2.7 billion in sales. Also growing is the number of marijuana stocks to invest in. According to Viridian Capital Advisors, there were more than 300 public companies in the sector in 2014. So which are the best marijuana stocks to invest in today? While marijuana stocks are trendy right now, most aren’t good investments. Indeed, the Securities and Exchange Commission (SEC) has cautioned investors about the risks of investing in marijuana stocks. The government agency noted some are the subject of investor fraud complaints, which claim they’re nothing more than pump-and-dump schemes. In 2014, the SEC issued trading halts on several of marijuana-related companies due to suspicious trading activity and investors complaints. Nonetheless, the SEC in January allowed a share registration to proceed for Terra Tech Corp. (OTCMKTS: TRTC), a company whose business model includes the cultivation and sale of marijuana, which are both illegal under federal law, though legal under some state laws. The approval was the first green light for a share registration by a company in this line of business. It’s likely to set a precedent for marijuana dealers to access the equity markets. Another company planning to cultivate and sell marijuana has a pending application with the SEC. Over the last 52 weeks, shares of Irvine, Calif.-based Terra Tech have traded as high as $0.63 and as low as $0.10. Shares presently change hands at $0.13, down 47.08% year to date. Other pot stocks have also been turning in a weak showing so far this year. BreedIT Corp. (OTCMKTS: BRDT) is down 52.70%, American Green Inc. (OTCMKTS: ERBB) is off 62.31%, and GreenGro Technologies Inc. (OTCMKTS: GRNH) is 53.41% lower year to date. There is, however, one marijuana stock to consider investing in. Not really surprising that most marijuana stocks are just penny stock/pump and dump schemes. Every time opportunity arises, sharks come out to prey on the weak, uninformed and gullible. See: bitcoin and the hundreds of "alt coins" that sprang up in 2013, 95% of which were complete pump and dump schemes. I agree i think that with all the medical uses coming to the forefront , pot stocks are a great inestment. I think that with the marijuana industry growing as fast as it has its a perfect time to make some good investments. BLPG is a company that has helped many state & local governments as well as marijuana grow ops, dispensaries, and the like in being compliant with new and current legislation in place. In fact, BLPG gave a recent presentation to California’s new cannabis regulatory organization having demonstrated that BLPG has become the authority for transparent, cannabis operational procedures.